This year’s WBC convention has been as eventful as always. Wladimir Klitschko was immensely proud that older brother Vitali brought the World Boxing Council Convention 2018 to Kiev. At the first night cocktail at the magnificent Fairmont Hotel, he said: “It’s great to have the Convention in Kiev. To have a former WBC champion hosting the Convention, is incredible. It shows that boxers and boxing possesses different facets. It’s a dream come true and so exciting”. 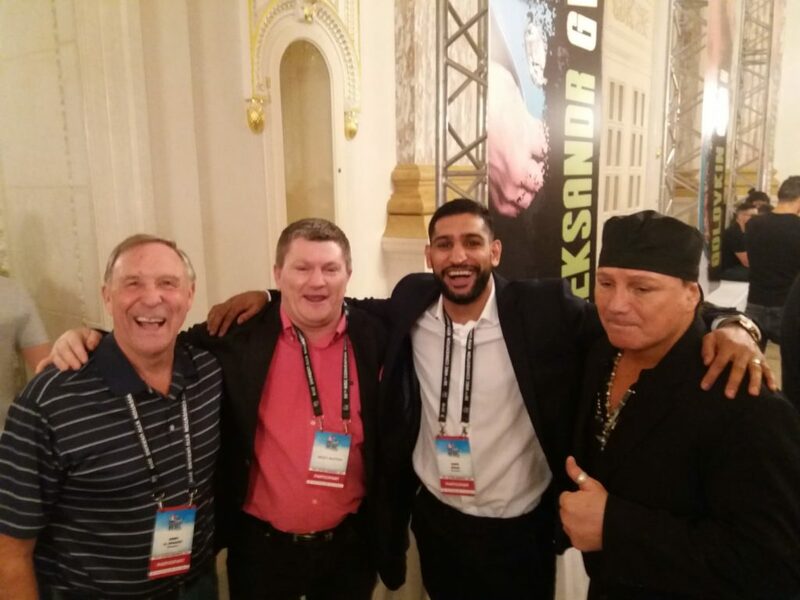 We’ve put together some of the highlights to give you a brief overview of the World Boxing Council Convention 2018. Let’s begin with the opening ceremony! The grand opening ceremony of the 56th World Boxing Council convention 2018 in Kiev took place in a huge circus-like big top tent. The big top was placed across the street from the Fairmont Grand Hotel. In the boxing community, these gatherings are like family reunions. It’s not uncommon for old rivalries between fighters to be forgotten. 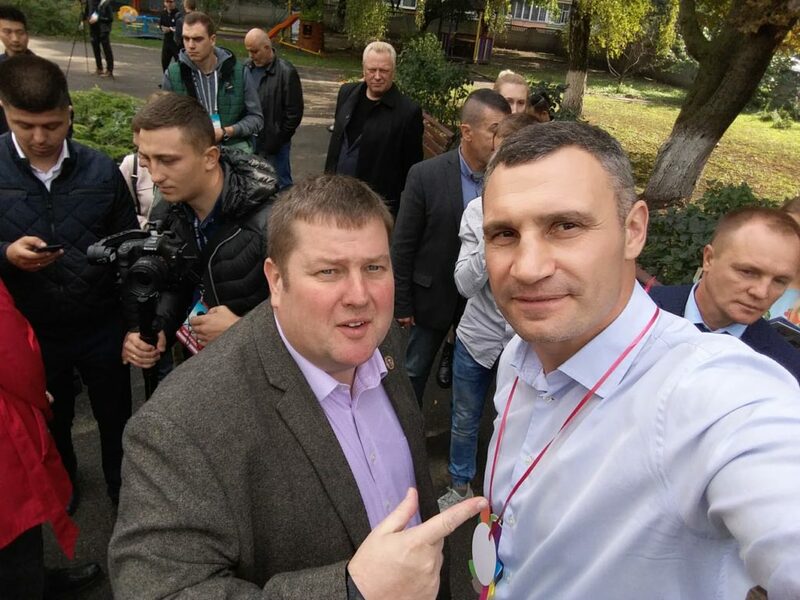 For example, there was nothing but love between native son and now mayor of Kiev, Vitali Klitschko and former WBC champ Lennox Lewis, despite their history. 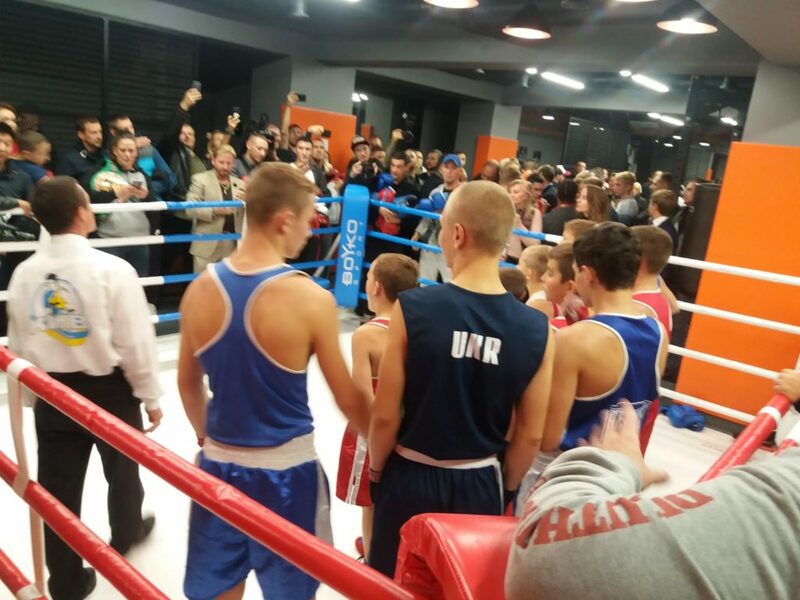 The opening ceremony was hosted by American boxing commentator James “Smitty” Smith, along with an English-speaking Ukrainian male and female couple. Mayor Vitali Klitschko and WBC president Mauricio Sulaiman welcomed the gathering and the Ukrainian national anthem was performed by a youth choir from Kiev. Next, the newly minted WBC welterweight champ Shawn Porter took to the stage to address the audience. He told them all about his dream of becoming a WBC champ. Wladimir Klitschko followed by welcoming the crowd of the much-loved story about the reason he never became WBC champ. He described to the audience how his brother Vitali was already a champion and how they had already made a promise to their mother to never fight each other. Their mother had forbidden them to fight at all so it’s taken all this time for Wladimir to gain a green and gold belt. It was a really special moment when this belt was presented by big brother Vitali, at the WBC Convention in Kiev. During his presentation, Wladimir also told the 700 guests that “It’s great to have the Boxing Family here in beautiful Kiev. I knew… eventually you’d come”. During the opening ceremony, Vitali Klitschko and Lennox Lewis reviewed their 2003 fight on the big screen behind them. They had a bit of a laugh and poked fun at each other, bigging up their own punches and belittling the other’s moves. President Sulaiman showed an interesting video which explained the evolution of the WBC belt over time. The Ukrainian Cultural Instrument Orchestra also took the stage to perform the unofficial WBC theme, “We Are The World.” All in all, a spectacular opening ceremony! A private ceremony took place with Champions Julio César Chávez, Lennox Lewis, Evander Holyfield and the mayor of Ukraine Vitali Klitschko and WBC President, Mauricio Sulaimán. 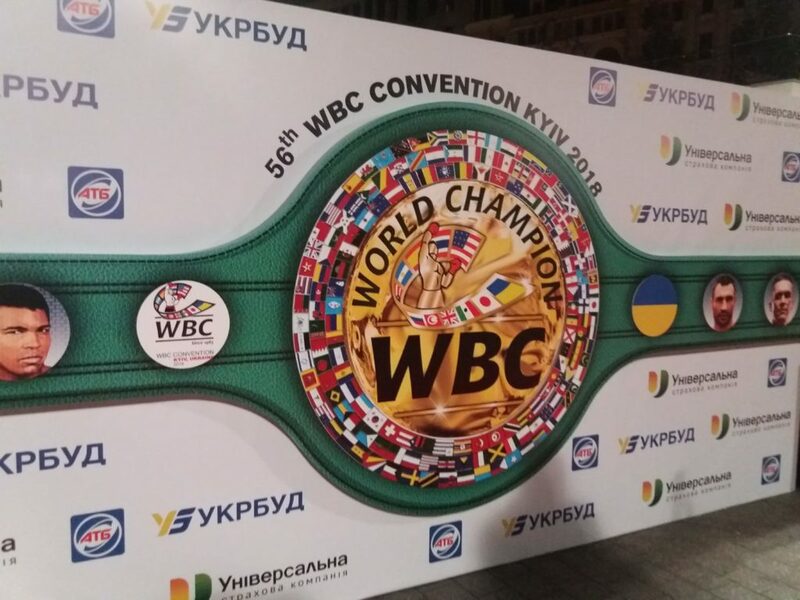 They met with the President of Ukraine Petro Poroshenko, who received the Green and Gold WBC Belt. Sylvester Stallone won the WBC’s Man of the Year Award. This was awarded for his efforts in convincing President Trump to grant Jack Johnson a full posthumous pardon, quashing a racially motivated criminal conviction. However, it was Jack’s Great Niece Linda Hayward, who gave a magnificent speech to the convention! After a 15 hour flight, Linda presented a copy of the Official Pardon signed by President Trump to Mauricio Sulaiman. He had accompanied her to the Oval Office with Deontay Wilder, Lennox Lewis and Sylvester Stallone. The attendants of the World Boxing Council convention 2018, including The Mayor of Kiev and former WBC World Champion, Vitali Klitschko, participated in a Talent Show! “I am happy that the WBC Convention finally takes place in Kiev. And today we have an interesting evening. I will show you boxers can do more than fight, we have many other hobbies and talents. Therefore, we will pleasantly offer you a big surprise,” Klitschko excitedly said. The previous WBC middleweight champion Gennady Golovkin won’t be fighting a direct rematch with new Champion Saúl “Canelo” Alvarez. Instead of this, Interim Champion Jermall Charlo will enter the ring with GGG. The winner of that fight will then go up against Canelo, so long as Canelo also wins his voluntary defence. Moving onto the heavyweight division, Dominic Breazele will fight whoever wins the Deontay Wilder Vs Tyson Fury match. However, if Wilder Vs Joshua is arrange, it supersedes this mandatory. Silver champion Dillian’s Whyte’s claim will also be reviewed. The unified champion Oleksander Usyk won the Super Series in the cruiserweight division so he will fight Tony “Bomber” Bellew at the Manchester Arena on November 10th, who is a WBC Emeritus champion. The current light heavyweight champion Adonis “Superman” Stevenson will face Oleksandr Gvozdyk Quebec as a mandatory on the 1st of December and the winner of the match will then enter the ring with Badou Jack. David Benavides is now the super middleweight champion in recess, due to testing positive for cocaine. “We will work hand in hand with David to get him help,” says WBC President Mauricio Sulaiman. The mandatory contender in the super middleweight division is Anthony Dirrell and he will fight Avni Yildrim before the end of the year. Diamond champion Callum Smith has just defeated George Groves in Jeddah, Saudia Arabia. Callum’s promoter Eddie Hearn says he’s earned his stripes. The current super welterweight champion, Jermell Charlo, fought two mandatories back to back. The Julian Williams Vs Erislandy Lara match will decide upon the mandatory contender. One of the new boxing stars who emerged from the WBC convention in Kiev is Shawn Porter, the new welterweight champion who recently won the vacant crown. Porter now faces two mandatories. He has thirty days of free negotiations with Keith Thurman. Andre Berto, who defeated Devon Alexander is next in line. Jose Carlos Ramirez is currently the super lightweight champion. There will be an elimination fight between Adrien Broner and Jorge Linares, so long as they comply with the Code of Ethics. Viktor Postol will also fight Mohamed Mimoune in a semi final eliminator. Mikey Garcia is lightweight champion and Luke Campbell is mandatory challenger. Javier Fortuna and Zaur Abdulaev will contest a semi final. Super featherweight champion Miguel “Alacran” Berchelt will fight a mandatory against Miguel “Mickey” Roman on 3rd November. Francisco “Bandido” Vargas will take on Jhonny Gonzalez in a final eliminator. Featherweight champion Gary Russell Jr will defend against Diamond champion Leo Santa Cruz. Super bantamweight champion Rey Vargas has had shoulder surgery and developed pneumonia, so he now needs recovery time. Tomoki Kamada will fight Cesar Juarez on the 12th of November. The vacant bantamweight title will be contested between Rau’shee Warren Vs Nordine Oubaali. Two time Super flyweight champion Srisaket Sor fought Rungvisai Vs Iran Diaz on Saturday (6th October) and won. Sor now has one more voluntary defence, before a mandatory against Juan Francisco Estrada. Flyweight champion Cristofer “Latigo” Rosales will fight the winner of a final eliminator of Lee Selby Vs Jukio Cesar Martinez. Light flyweight champion Ken Shiro Vs Mikan Melindo on Sunday. Jonathan Taconing Vs Hirotoshi Kyoguchi for the final eliminator. Finally, minimum weight champion Wanheng Menayothin, who’s extraordinary record is 51-0, has a voluntary defence. Simphiwe Knonco Vs Tsubasa Koura is the final eliminator match. Day 4 of the 56th annual World Boxing Council convention 2018 started a little bit later than the scheduled 9am start time. Many attendees were still recovering from the talent show “Good Time Blues” the night before! However, the closing ceremony drew the convention to a close in style. Due to his pending departure, WBC Female division president Malte Müller reported on some of the developments in the female ranks. Firstly, the long anticipated fight between Claressa Shields and Christina Hammer will be rescheduled due to a digestive ailment suffered by Hammer, making her medically unfit to box. She will be named “champion in recess” and Shields will fight for the vacant title on the 17th of November on Showtime against an opponent yet to be named. Müller also announced the third female convention slated for November 16-20 in Manila, Philippines. Marcos Arienti presented a short video about his program Boxeo Sin Cadenas, Boxing Without Chains, which is a program for incarcerated prisoners. Reza Djabbarpo of Iran Professional Boxing presented a slideshow on the growth of Iranian boxing. The WBC donated $10,000 to the Ukrainian orphanage. Another exciting piece of news which was presented in the closing ceremony was that the WBC Boxing University is being established in association with University LiberQuaré in Spain. The online courses focus on Judges, Referees, Trainers, Supervisors and Nutrition. More information can be found at www.wbcuniversity.com. The official meetings of the World Boxing Council 2018 convention finished on Thursday 5th October, followed by a closing banquet at Kyiv City Hall, hosted by Mayor Vitali Klitschko. On Friday 6th October, there were also several options for city tours including a visit to the Klitschko boxing museum exhibit and the Ukrainian Boxing Hall of Fame. 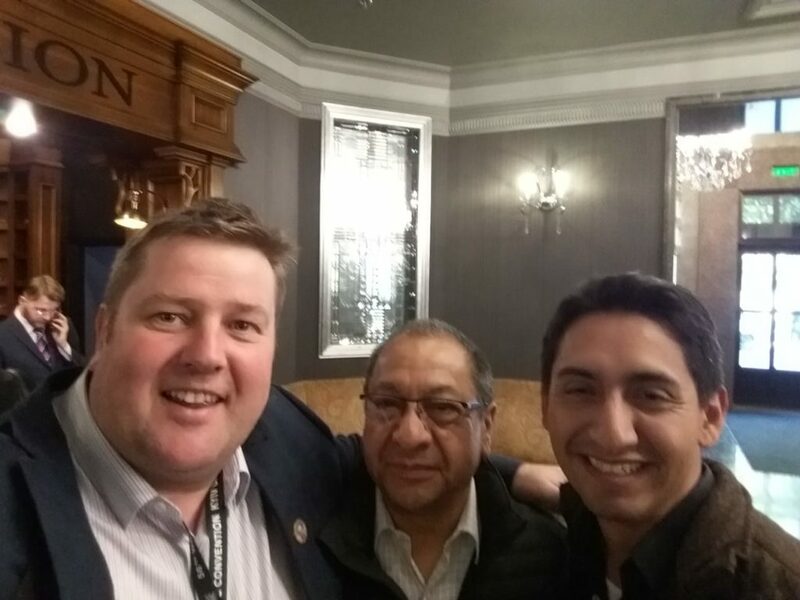 It was a successful convention where many future plans were discussed and we are excited to see what the next 12 months bring. Power up your boxing workout with these training exercises.